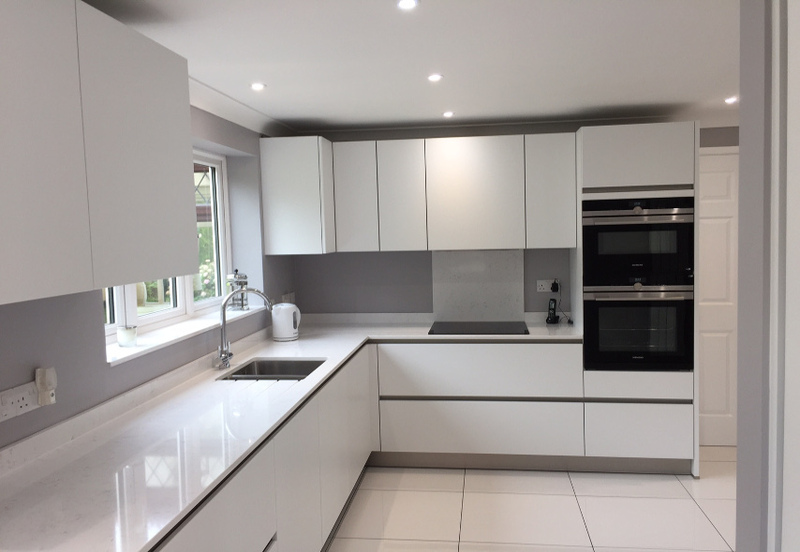 With the popularity of open plan homes, kitchens are increasingly becoming a part of the main living space and can also serve as a utility room. Having the kitchen as an integral part of the living space means that whoever’s in charge of cooking doesn’t feel isolated whilst the rest of the household sits together in another room. Of course, the downside of having the kitchen in the main living area is that some of the equipment and activities that have been traditionally part of the kitchen may become disruptive to the rest of the household. No-one wants to look at washing machines and tumble dryers, and certainly, no-one wants family time disrupted by the noise of a final spin or the warm fug that invades the room when you open the dryer door. Then there’s the problem of storing unattractive but necessary equipment like brushes, brooms, stepladders, ironing boards, wellies and muddy outdoor wear, recycling bins etc. Luckily, if your house is large enough, the perfect solution is to have a utility room. That means all the noisy, muddy and unsightly items can be safely shut away out of sight and out of mind, leaving you to enjoy the sense of community that having an open plan house affords. 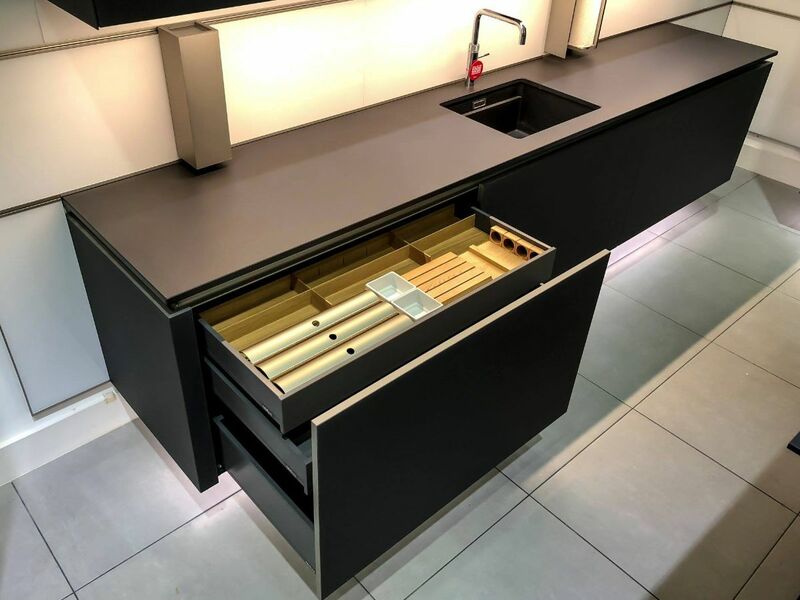 Schüller has a high-quality range that’s been specially designed to make the most of the available space in utility rooms, with clever use of pull-outs to make life a lot easier. 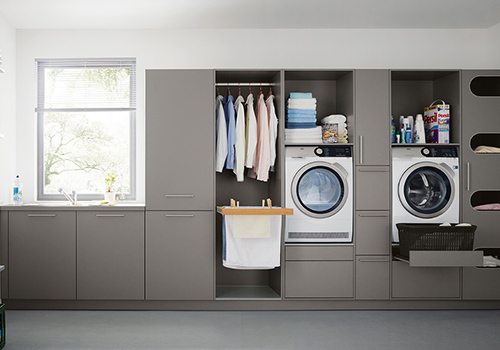 Optimised cupboard space makes the most of limited storage, with ways of helping you sort your laundry, as well as providing racking to dry it on. There are spaces for recycling, as well as tall cupboards for larger equipment like ironing boards and vacuum cleaners, space to have the washer and dryer on top of each other, cupboards for clothing and shoes, shelving and drawers for cleaning products and the bits and bobs we tend to accumulate in life. 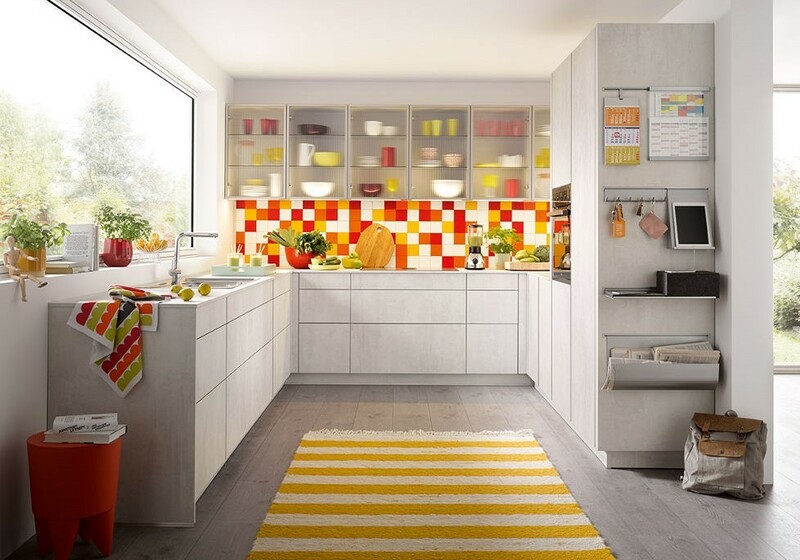 Once everything has been stored and all the doors and drawers closed, a Schüller utility room will look as good as your kitchen. If you are designing a new utility room, visit our Cheshunt showroom to see our ranges and talk to our experts.